Brief Description of Subject: St. Elizabeth of Hungary (1207 - 1231) was the daughter of King Andrew II, King of Hungary. At the age of 14 she was married off to Louis IV, Landgrave of Thuringia. 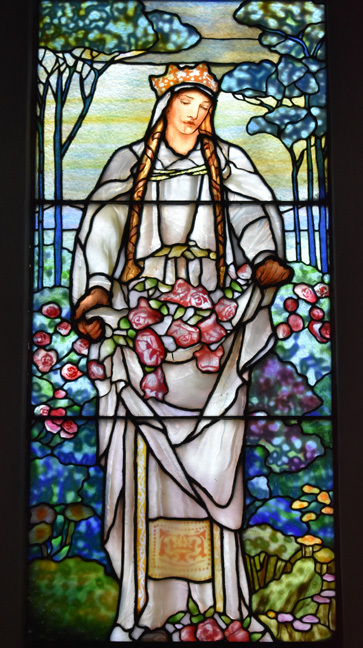 Throughout her life she was devoted to the caring of the sick and the poor. 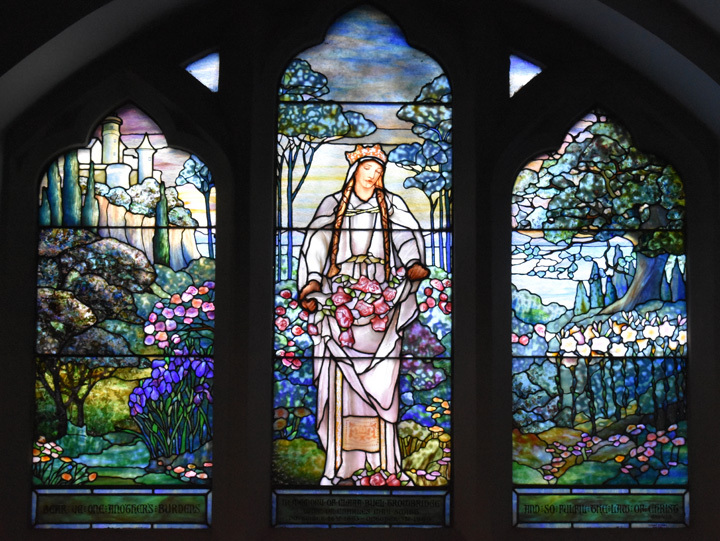 St. Elizabeth is best known for the "Miracle of the Roses" and Tiffany Studios has used it for the basis of this window. She was secretly taking bread to the poor when she was confronted by her brother-in-law who accused her of stealing from the treasury and demanded to see what she was hiding under her cloak. When she opened her cloak there was nothing but roses.